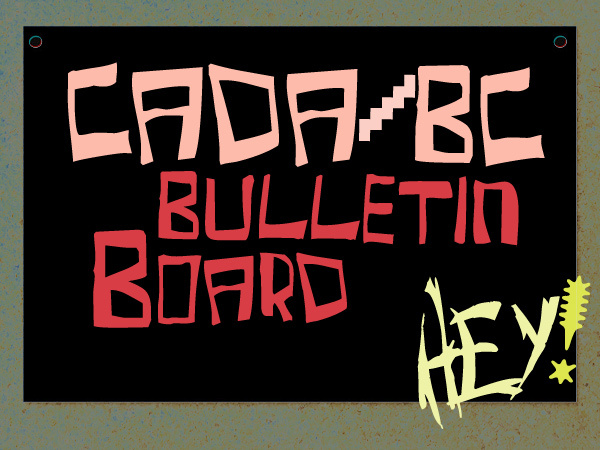 This edition features some exciting and pertinent announcements via the CADA/BC Bulletin Board and our monthly advocacy challenge. CADA/BC Member Jennifer Law will present her findings from examining in detail the statistics from an in-depth CADA/BC Members survey conducted last spring on the status of artist fees and rates within our communities. To read what fellow Members have written about the first two Dance Response shows of the season, please see our page on Plank Magazine's site. The next Dance Response show is Kidd Pivot's Tempest Replica, November 10. Catch Dance Response live that evening after the performance, watch for postings to the Dance Response page, follow us on Twitter | #danceresponse and join the conversation. 4. 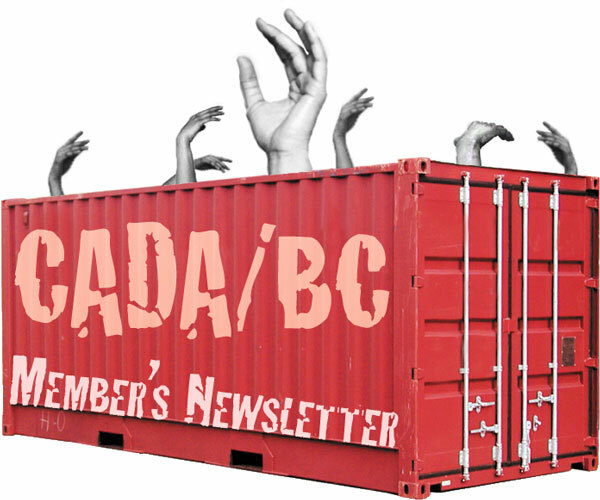 In partnership with the Canadian Dance Assembly, New Works and Made in BC, CADA/BC is proud to send one Member and two Board Members to the 2012 CDA National Conference. Josh Martin (Board Chair), Kim Sato (Board Director) and Caroline Liffmann (past-Board Chair, Member) will be attending the Conference and the Arts Day on the Hill. Between now and October 23, these CADA/BC representatives are happy to field Members' concerns and ideas to be brought forth to the national dance community. Messages to MPs are also welcome. Please email us and we will pass your messages along. As a CADA/BC Member, you are automatically also a CDA Member and can vote by proxy (unless you are by chance in Ottawa October 20). Please fill in this form and email us before October 19. 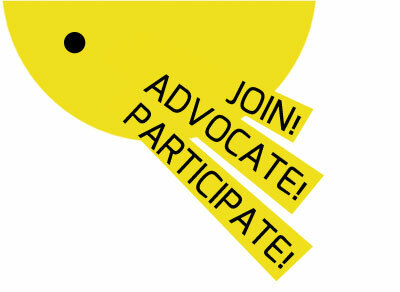 Participate in an audience/artist talk-back. What better way to learn more about the creative process, or get in on what inspires your favourite artist, then directly from the source? Artist talks, salons, and audience Q & A's after performances are a unique opportunity to listen to all sorts of folks talk about dance—widen our audiences, develop new relationships and deepen everyone's appreciation and understanding of dance. Attending a performance? Check the schedule and plan to attend on the night a talk-back is scheduled. Flex your dance dialogue muscle and inspire others to do the same. ...and, of course, CADA/BC's own Dance Response.